Profile Balgus Gelder is a retired Red Mantis assassin living under an assumed identity. Having shed his true name, "Kasaad" over a decade ago, he served as a laborer formerly employed by the city of Almas on the Silver Line Railroad. When the labor staff was temporarily laid off and replaced by Automatons, Balgus left and never returned. He has since left for Razmiran in search of information on the "men in owl masks". Balgus Gelder keeps his past close to his chest. Few know where he came from or what his occupation was prior to arriving in Almas seventeen years ago. He has worked as a lumberjack, furrier, trapper and more recently hard laborer on the rails. It has become apparent to most in the city that Balgus is more than he appears, and his training in martial combat and his ability to handle himself in dangerous situations has led many to speculate about his actual skills. Tue truth is far more complicated. 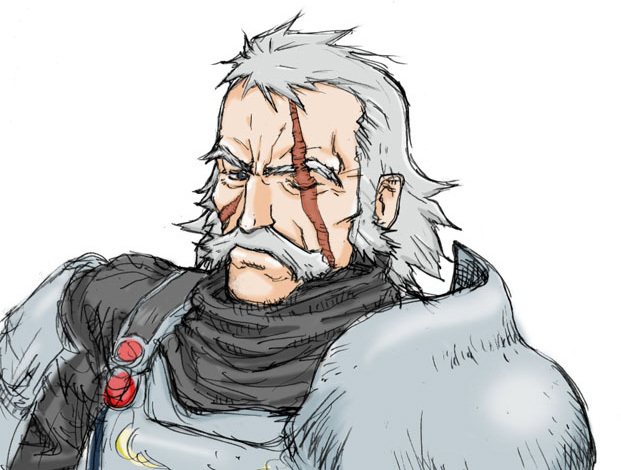 Balgus Gelder was a crusading knight of Mendev. However, he was the target of a Red Mantis assassin named Kasaad. During Kasaad's mission to assassinate Balgus, the old crusader met with an end not by the assassin's hand. Somehow between that moment and when the Heroes of Almas met him, Kasaad had begun operating under the assumed identity of Balgus Gelder, brought the orphaned child Oniia to Andoran, and stayed in the city to watch over her in secret. His reasons are unknown.